A professional auto inspection gives Springfield, VA, moms a summer vacation from car breakdown worries. If you have ever broken down on the side of an unfamiliar road or highway in the swelter of summer with a couple of kids in the car, you know an hour-long auto inspection is a no-brainer to prepare your family car for care-free trips to the beach, pool, lake, or river. No matter what circumstances lead to this repeated and often avoidable scenario, a basic auto inspection ensures Springfield, VA, families can travel worry-free this summer. At Wiygul Automotive Clinic we know your car is your second home during the height of road trip season. You need a reliable mechanic who can help you be prepared for a safe summer of reliable roadway comfort. 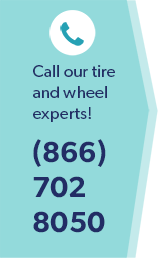 Wiygul Automotive Clinic, your local Goodyear Tire and Service Center, offers a full compliment of auto care services, including preventive auto maintenance, new tires, brake service, and more. We service and repair all foreign and domestic models with brand name products and fluids in our state-of-the-art automotive service facility that includes a certified Virginia state auto inspection on site. A basic auto inspection gives Springfield, VA, drivers peace of mind that a trained, ASE-certified mechanic has visually inspected their vehicle from bumper to bumper, testing the proper settings and functioning of primary mechanical systems, tires, brakes, and fluids. Whether your inspection sticker is about to expire or you want to protect your family’s safety this summer, get your auto inspected near Springfield, VA, by the auto care experts at Wiygul Automotive Clinic. When Springfield, VA, moms need reliable auto inspection, they can trust the consistent, high-quality services of the reputable auto professionals at Wiygul Automotive Clinic. With our VA Inspection Special you save $8 on a VA auto inspection and $14 on your mandatory Virginia emission inspection on most vehicles. We also honor our military service members with an everyday 10% off any automotive service, including the purchase of new tires. Isn’t your safe arrival without incident at your planned destination well worth a minimal investment in a professional auto inspection? Contact Wiygul Automotive Clinic to schedule your auto inspection near Springfield, VA. We’ll ensure the safe operation of your car for uninterrupted summer adventures, and get you safely back on the road in no time.